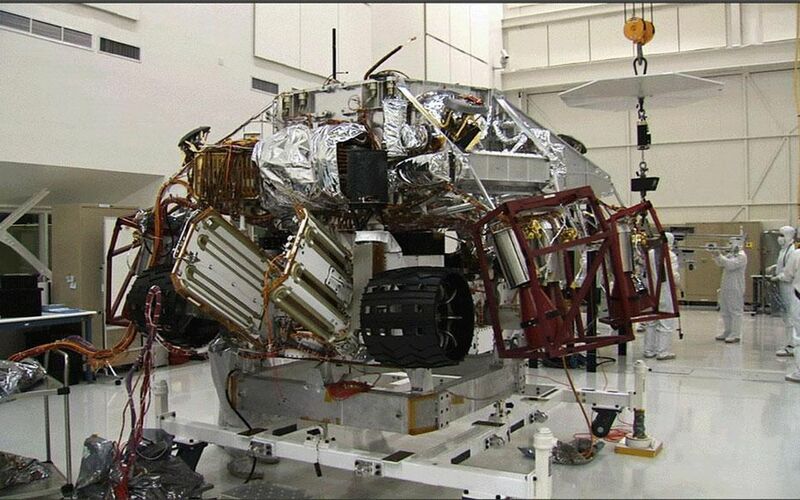 These three images show the progression of 'stacking' the Mars Science Laboratory rover and its descent stage in one of the Jet Propulsion Laboratory's 'clean room.' 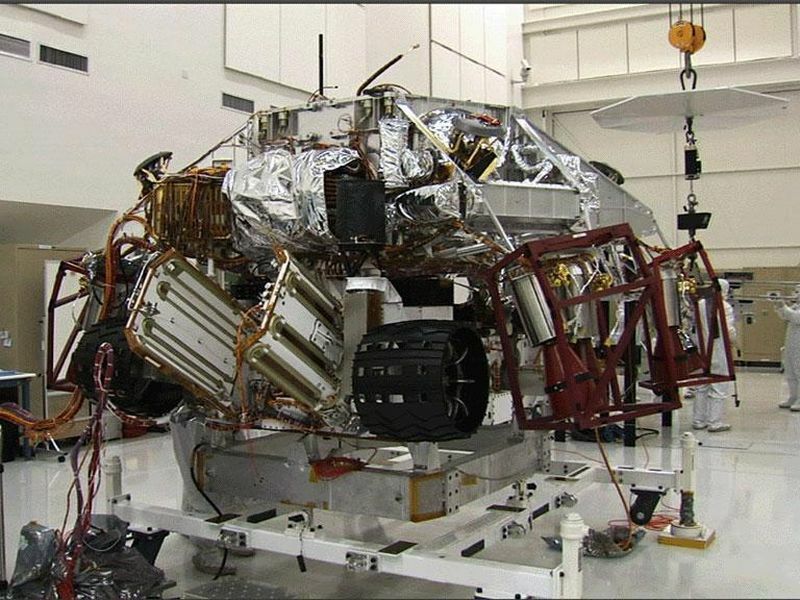 In the first image, the car-size rover is in the middle of the picture with several team members surrounding it. The team members are all dressed in special head-to-toe white suits, called 'bunny suits.' One team member is holding on to a tether to guide the large insect-like descent stage down on top of the rover. The descent stage looms high in this image. The second image shows the descent stage a few feet above the rover with the team member continuing to guide the two pieces together. The final image shows the two pieces on top of each other. Imagine taking a very long 10-month journey with someone you've just recently met! 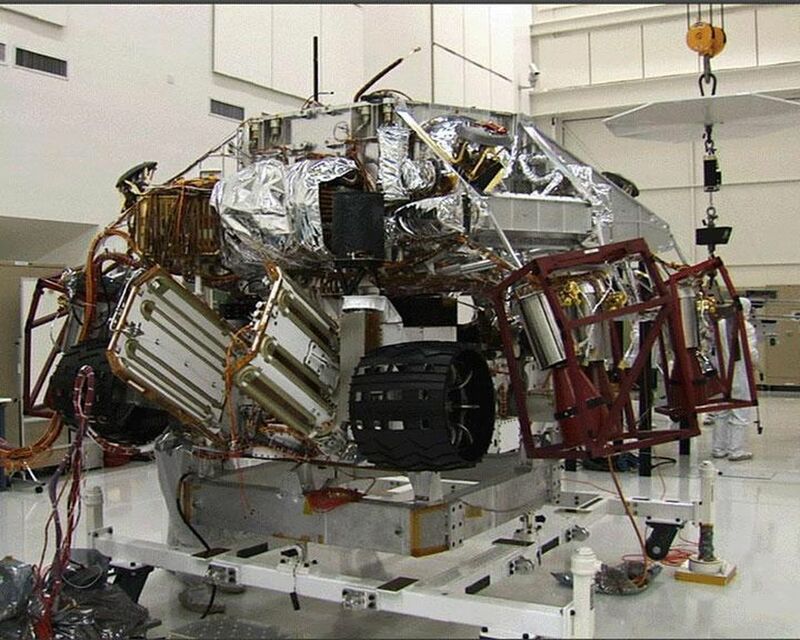 The assembly team successfully introduced the Mars Science Laboratory rover to one of its space travel partners. For the first time, it was coupled with its "descent stage," the part of the spacecraft that lowers the rover to the Martian surface. Up until now, thousands of hands and minds have been making sure this pairing is a perfect fit -- on paper. The intricate parts of the rover and descent stage have all separately undergone some serious testing. Now that they're stacked together, their teams can see how they fit together in real life. With this match-making a success, the rover and descent stage will be joined with the protective case (the "aeroshell") for more testing. But, these pieces aren't staying together forever! 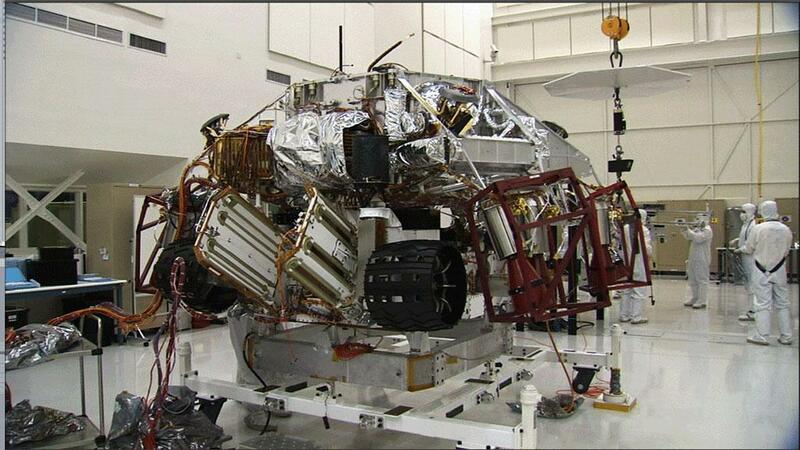 They'll be separated, checked, and assembled many more times before finally coming together just before launch.